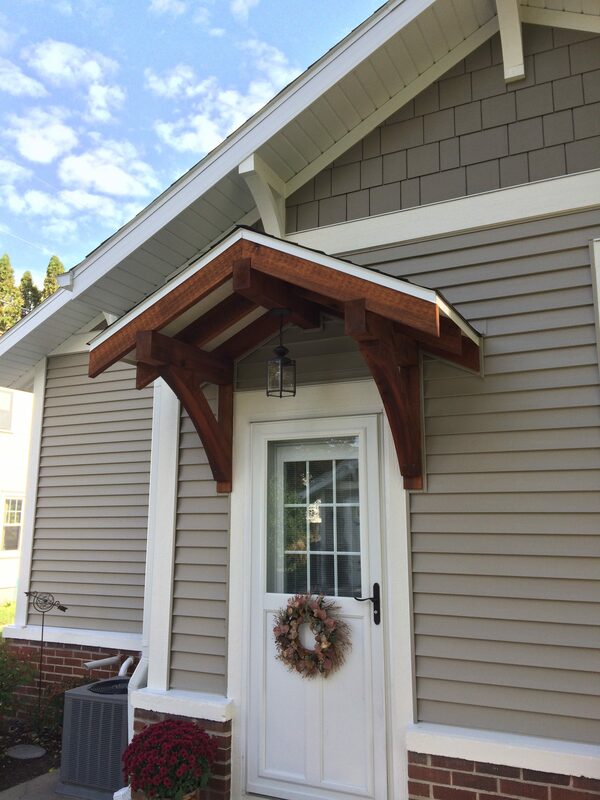 Michelle from Concord, New Hampshire has shared with us her Fypon Timber Texture Exterior Brackets. Using the brackets to frame an outside doorway, she was able to add a rustic contrast to her home. Fypon products are artfully designed and make a simple statement of style. Not only that, but they are lightweight yet durable enough to stand up against water and insects. Click the link below to see our full collection of Fypon Brackets!